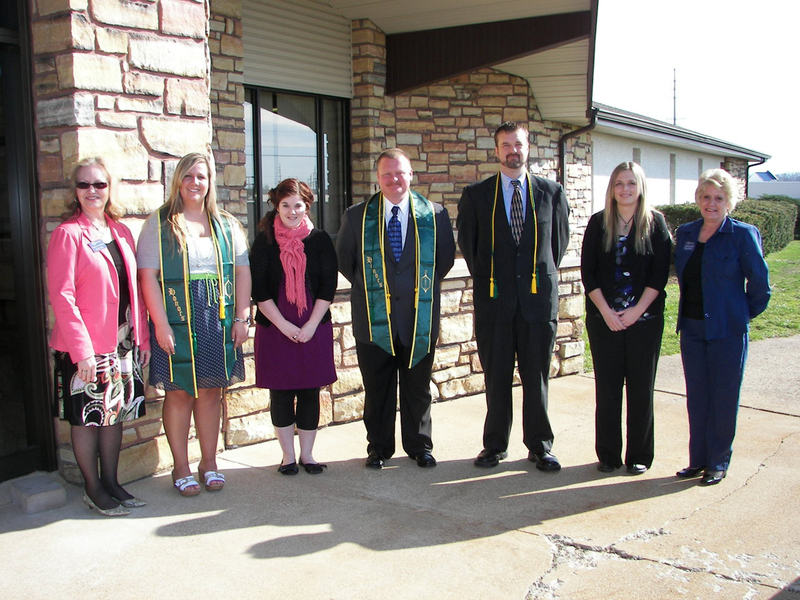 Columbia College-Lake of the Ozarks inducted seven students into the Sigma Beta Delta Beta business degree fraternity last Thursday. Appearing below are Campus Assistant Director Cathy Whitfield, Karen Hogan, Kayla Little, Tim Schull, Ricky Sutton, Amber Visser and Senior Academic Advisor Thelma Arthur. Not pictured are Cathi Cook and Joel Wiese. April 8, 2013 — Columbia College – Lake of the Ozarks students Cathi Cook (Linn Creek), Karen Hogan (Cameron), Kayla Little (Eldon), Tim Shull (Rocky Mount), Ricky Sutton (Camdenton), Amber Visser (Iberia) and Joel Wiese (Osage Beach) have been inducted into the Columbia College Chapter of Sigma Beta Delta. 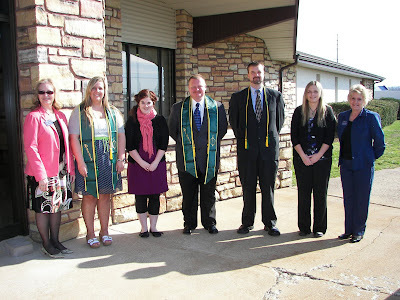 A formal induction ceremony was held Thursday, April 4 in the foyer of the Columbia College Annex in Osage Beach.